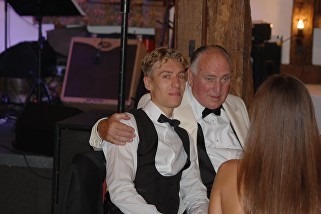 Mauri Baldwin stood in for Zachary Baldwin at the new Papworth Hospital in Cambridgeshire. It's a fantastic high tech hospital where he met up with the transplant team. Seen in the picture is Dr Jasvir Parmar and his team with the Sonosite Edge 11 machine. Money raised from our Autumn Ball & Caberet helped to purchase this life saving piece of equipment. We all said a final goodbye to the old hospital and look forward to working with the team in the new high tec Royal Papworth Hospital. 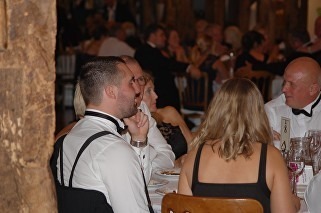 On September 15th 2018, The Sammi B Foundation held their second charity ball, returning to the High Rocks venue in Royal Tunbridge Wells. 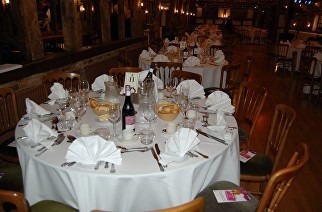 A three course meal would be followed by cabaret, auction, raffle and live band. 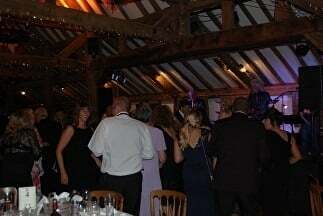 Our guests were dressed to impress, and danced in to the early hours. 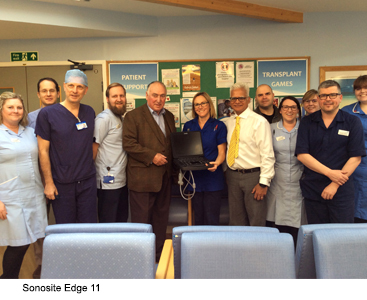 Their generosity and support allowed us to donate £12,000 to Papworth Hospital's transplant department for the purchase of a Sonosite Edge II machine. Papworth Hospital had suggested this machine would help their patients, and so we delivered. The cheque for said purchase was presented to Papworth Hospital's Dr Jasvir Parmar on the evening, and we were grateful once again to have his presence at the event. Dr Parmar had spent time working with our Samantha in her time at Papworth. To those who attended, we say thank you again and hope you had as good a night as we did. 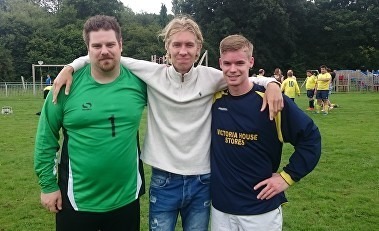 A personal favorite fundraiser of mine - Football for charity. On August 7th a great number of spectators saw Tate Fencing's 11 take on the 11 of Nikwax Paramo. 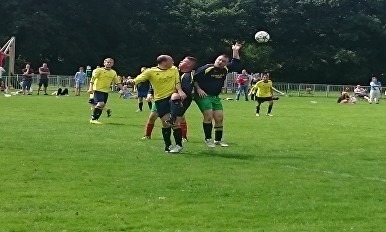 Although it was a friendly in every sense, the two teams fought hard and it was by all means and proper football match. The final score was 6-4 to Tate Fencing. Congratulations to the winners, but more importantly thank you all for your participation. A huge thank you also to everybody involved. The total amount raised was in excess of £1200. Absolutely fantastic. Zachary Baldwin, accompanied by both Captain's post match!